Leh, a high-desert city in the Himalayas, is the capital of the Leh region in northern India’s Jammu and Kashmir state. 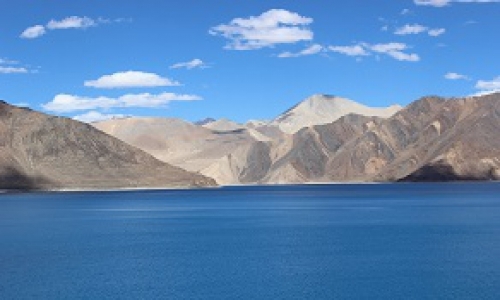 Originally a stop for trading caravans, Leh is now known for its Buddhist sites and nearby trekking areas. Massive 17th-century Leh Palace, modelled on the Dalai Lama’s former home (Tibet’s Potala Palace), overlooks the old town’s bazaar and maze like lanes. 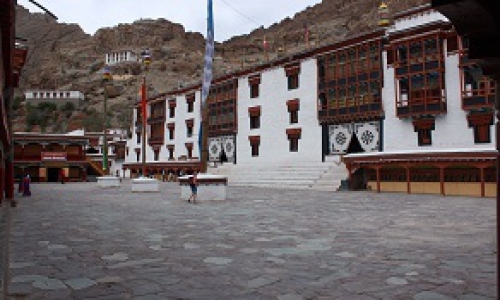 District Leh is situated roughly between 32 to 36-degree north Latitude and 75 to 80-degree East longitude and altitude ranging from 2300 mtrs to 5000 mtrs above sea level. District Leh with and area of 45100 Sq. Kms. makes it one of the largest District in the country. The District is bounded by Pakistan occupied Kashmir in the west and China in the North and eastern part and Spiti of Himachal Pradesh in the south east. Copyright © India Beckons. All right reserved.